Is a scrub in need? If you are asking me, I will say I need a scrub. I need a scrub for exfoliating my face once a week. Scrub is indeed part of beauty vanity (Safi Rania Gold Scrub). How about I now ask you if whitening is in need? Do we have to be white to be a beauty? Tell me please. I am all ears. I personally feel that this whole thing about looking white like snow white is a major beauty crab. And mind you, many are falling for the crab. Why can't we be comfortable in our skin, yet look clear, clean and presentable? This whitening by the way is massively a danger if we over do it. I for once have never aimed for whitening, let alone wanting to look young. For your information, lemme tell you I am not a young doll anymore. I am actually 51 years old. Do I feel interior because I am not fair skin nor because I have already achieved half a century? Oh please. Point blank said, not at all. Why should I anyway? My target market after all is not toy boys. My taste is older Indian men like my other half-half. The older the better in fact. What else should I say then? Nothing much, except pitching my experience on Himalaya Clear Complexion Whitening Face Scrub, albeit obviously, as I have already said, I had no intention of whitening my skin (Himalaya Purifying Neem Face Wash & Himalaya Body Wash). 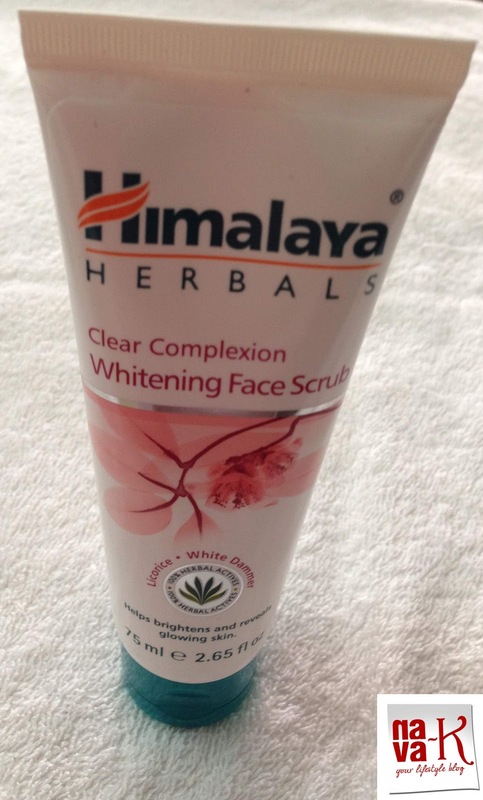 Himalaya Clear Complexion Whitening Face Scrub is the standard Himalaya packaging. Reasonably priced and easily available, go ahead if you wanna buy online, sensibly you shouldn't because there will be an outlet in most shopping malls, Himalaya Clear Complexion Whitening Face Scrub is deemed for not only polishing, but it should potentially whiten and brighten your complexion. A 100% natural scrub formulated with licorice, white dammer and apricot for also purifying and leaving your skin invigorated and smooth by loosening the built-up rough skin. To use, if you are first timer to scrubs, I suggest you refer to the instruction on the white tube with a green flip open cap. Otherwise, go ahead and use like you normally do. Nevertheless, please be gentle. 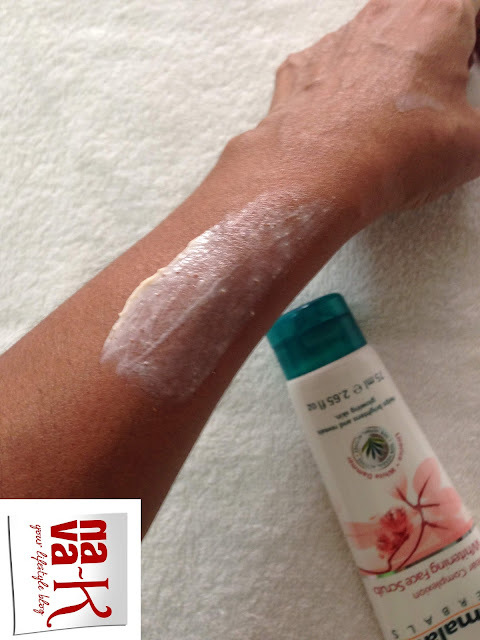 No harsh push massaging as to prevent from hurting your skin or rupturing your skin. Even with this white, light and creamy in texture and non-abrasive scrub. Include you neck if you feel you should, pay attention to your t-zone and chin which may be clogged up with black heads or white heads, thereafter, give a good rinse, pat dry and apply a moisturiser. For me, Himalaya Clear Complexion Whitening Face Scrub is definitely an appreciated deal compared to Himalaya Herbals Gentle Exfoliating Apricot Scrub. Wonder why they call it gentle scrub when in actual fact it is not. Spreading smoothly and without breaking my sensitive-combination skin, this mild floral fragrance scrub didn't in anyway dry up my skin. It actually exfoliated as per my liking, it didn't leave behind any residue and it did to a certain extent glow me up. Notably, my skin looked brighter, but in no way it whitened me. I wont't deny Himalaya Clear Complexion Whitening Face Scrub is a perfect fit as a smooth operator for my face. However, the packaging has been quite a thing. Cap seemingly can't grip tight against the tube after two months of using, so, how can I carry it for my long distance travelling and I sincerely will not recommend scrubbing more than, most to most twice in a week. 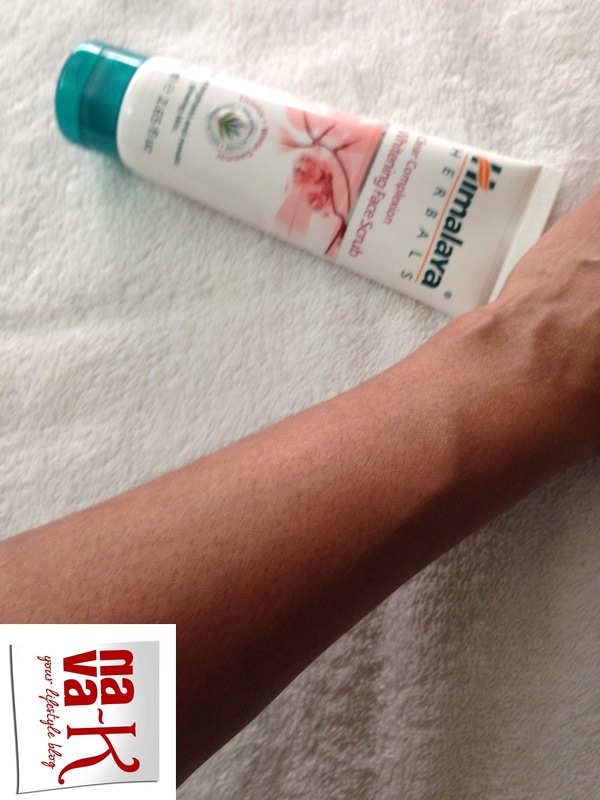 Is Himalaya Clear Complexion Whitening Face Scrub a beauty game changer for my fifties skin? I doubt. 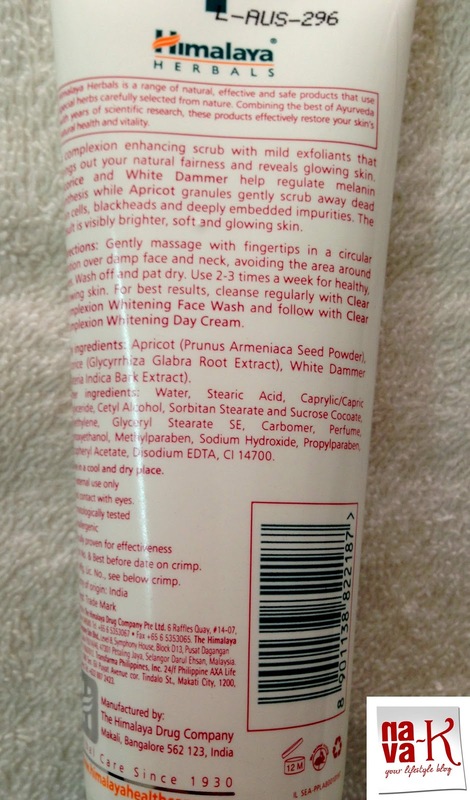 Will I repurchase Himalaya Clear Complexion Whitening Face Scrub again? I don't think because I think the packaging should be improvised, it didn't transform my skin to another level, basically its for my weekly home facial routine and say all you want, how 100% pure it can be in terms of natural ingredients? I may not be someone who can analyse their ingredients in depth, but I can't help questioning sodium in Himalaya Clear Complexion Whitening Face Scrub. Very useful for me. Have been looking for a good scrub and moisturiser.